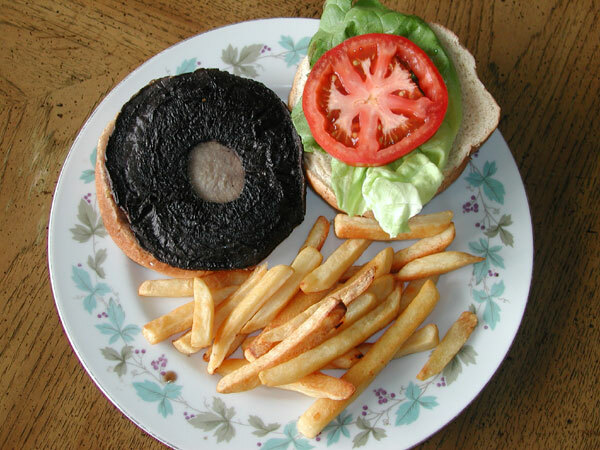 Mushrooms are a great main course, such as Portabella Mushroom Burgers, or as an addition to many meals, such as sauteed, grilled, on salad or baked with other foods. 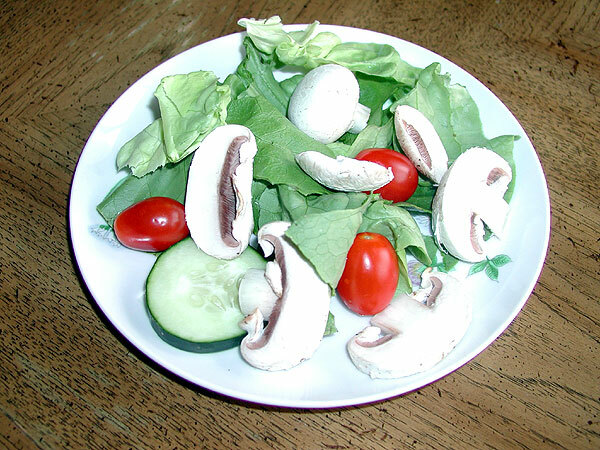 Below are a few photos to show you how we like to enjoy our mushrooms plus a few tips for preparing your mushrooms once you harvest them from your mushroom kit. 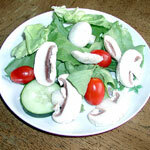 Slice the mushroom cap and stem into ¼ inch long strips. Sauté your mushrooms in a frying pan adding a little butter and olive oil. Season with salt, pepper and several diced cloves of garlic. Sauté your mushrooms for several minutes, until the water, which cooks out of the mushrooms, evaporates and the butter and olive oil remain in the pan. This may take a few minutes, but when you get to this point, your mushrooms will be done cooking and ready to eat. Let your mushrooms grow until the caps open. Remove the stem from the cap. 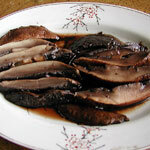 Coat both sides of the cap with melted butter and olive oil, or oil and vinegar salad dressing (Italian). Salt and pepper to taste. Place the opened caps over a barbecue and grill for several minutes on each side. 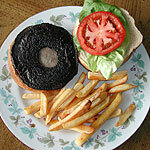 When done cooking, the mushroom caps can be eaten whole, as a patty in a mushroom burger, or sliced and served as a side dish. 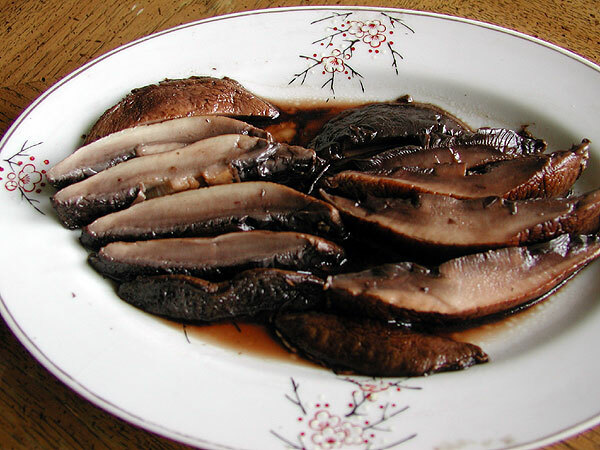 This recipe can also be used with the caps pre-sliced ½ inch thick and marinated with the above ingredients, before grilling. The stems can be saved and used in sauces or soups. Mushroom Adventures now sells Dried Mushrooms! 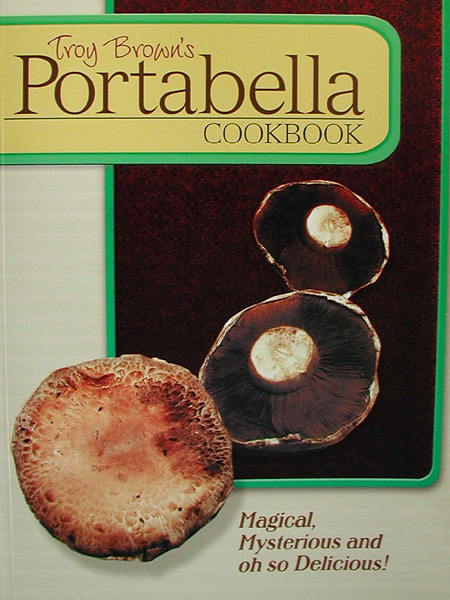 Keep dried mushrooms in the kitchen to flavor up meals. 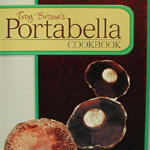 A small amount of dried mushrooms added to each dish will add genuine flavor and turn that dish into a gourmet meal.